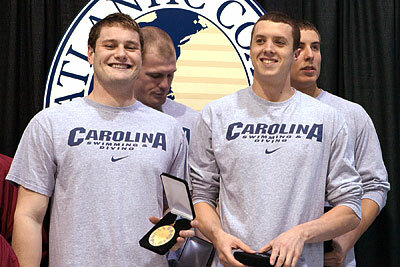 The University of North Carolina 200 Medley Relay team of Josh Hafkin, Vinny Pryor, Tommy Wyher and Steve Cebertowicz won the event in 1:26.33 in the first race of the 2010 ACC Swimming and Diving Championships. The University of Virgina wins the 800 free relay. The team was comprised of John Azar, Taylor Smith, Scot Robison and Matt McLean (shown above). 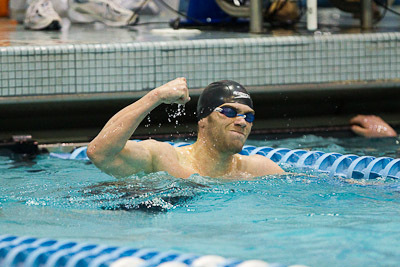 The team secured a berth at the NCAA championships with a "A" qualifying time of 6:19.23. 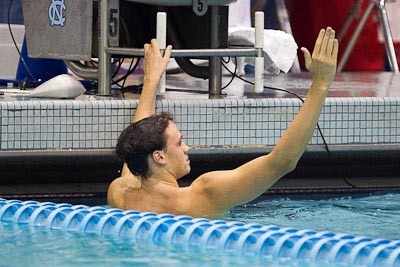 Matt McLean of the University of Virginia wins the 500 freestyle for the third consecutive year at the 2010 ACC Men's Swimming and Diving Championships. Georgia Tech Senior Gal Nevo has a close shave in winning the 200 IM. 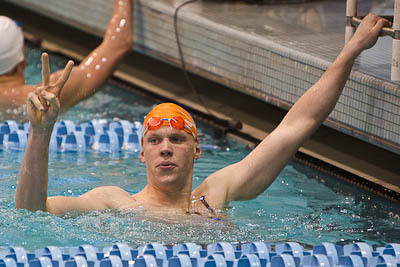 University of Virginia Junior Scot Robison wins the 50 freestyle in 19.64. The University of the Virginia team of Scot Robison, Peter Geissinger, Eric Olesen and John Azar win the 200 free relay in 1:19.07. Virginia leads the team standings after two days of events with 266 points. North Carolina sits in second place (221), followed by Florida State (189), Clemson (138), Virginia Tech (126), and Duke (123). Rounding out the order are Georgia Tech (108), Maryland (98), NC State (62), Boston College (36), and Miami (15), which only competes in diving events. 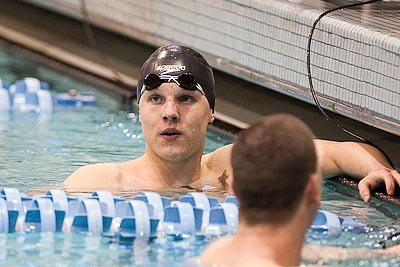 Georgia Tech Senior Gal Nevo repeated last year's performance as ACC 400 Individual Medley champion with a 3:40.47 NCAA "A" qualifying time. 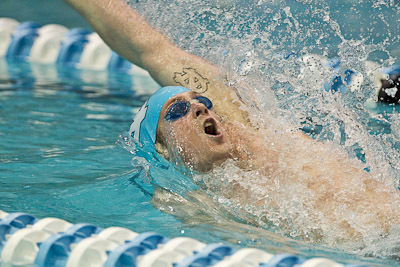 Tommy Wyher of the University of North Carolina repeats as ACC 100 butterfly champion with an ACC record 45.57. 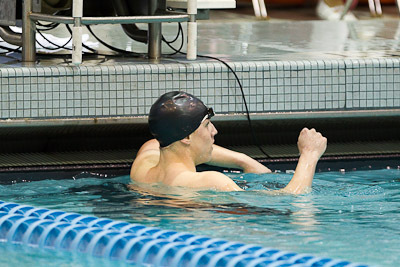 University of Virginia Junior Scot Robison adds his second individual victory at the ACC Men's Swimming and Diving Championships taking the 200 freestyle in an ACC record time of 1:32.45. Robison earlier won the 50 free. Florida State Senior Scott Thacker takes the 100 breaststroke in 53.59. 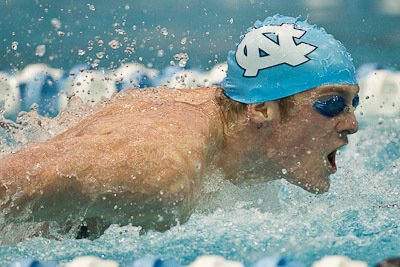 Tommy Wyher of the University of North Carolina wins the 100 backstroke in ACC meet record time (46.08). 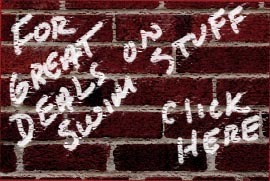 Earlier in the evening, Wyher won the 100 butterfly. He won the same "difficult double" in the 2009 ACC Championships. 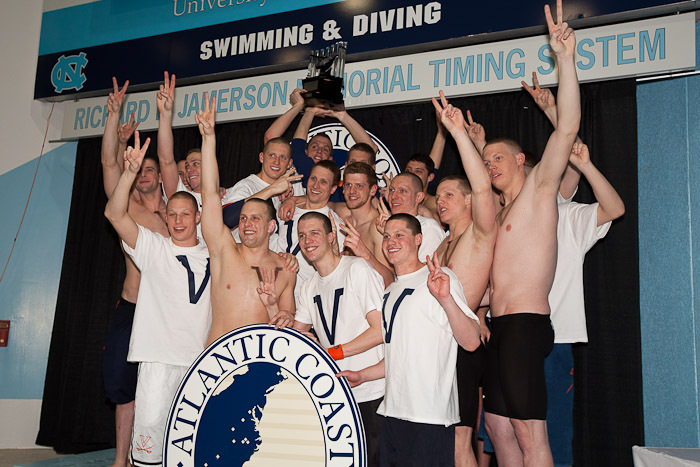 The University of Virginia team of Eric Oleson, Tom Casey, Peter Geissinger and Scott Robison won the 400 Medley Relay. Anchor Scot Robison made up a deficit of almost 1.5 seconds to secure the victory. 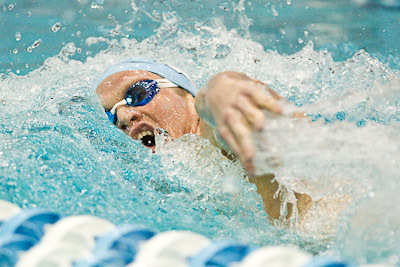 Chip Peterson of UNC leads his team to a 1-2 finish in the 1650 freestyle while notching a NCAA "A" qualifying time of 14:49.36. 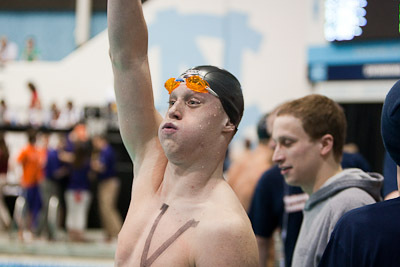 Teammate Joseph Kinderwater took second place for UNC. 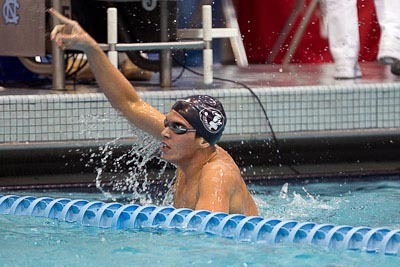 Andy Hodgson of Florida State repeats as 200 backstroke champion at the 2010 ACC Men's Swimming and Diving Championship. 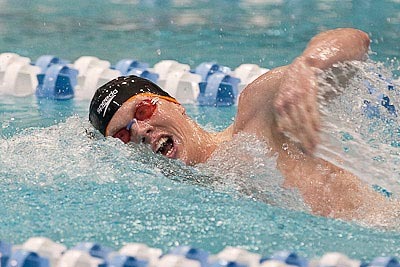 University of Virginia Junior Scot Robison wins the 100 freestyle completing a sweep of the 50-100-200 freestyle events. 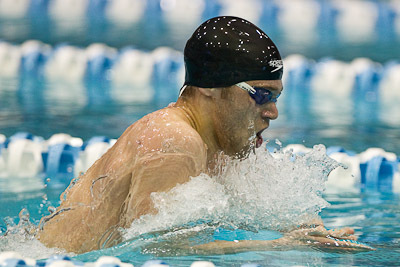 He set an ACC Conference and Meet record in the 100 free during prelims with a 42.42. Rob Holderness of Florida State wins the 200 breaststroke in 1:55.41. Georgia Tech Senior Gal Nevo wins his third individual event taking the 200 butterfly in 1:43.43. 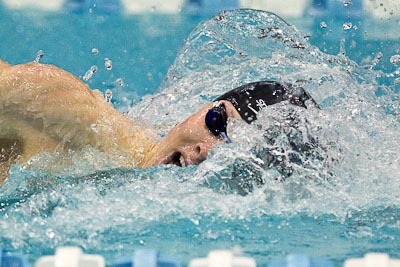 Earlier he won the 200 and 400 individual medley events. The University of Virginia wins the 400 free relay in an NCAA "A" qualifying time of 2:52.11. Junior Scot Robison lead off the relay with a ACC record 42.21 100 freestyle.